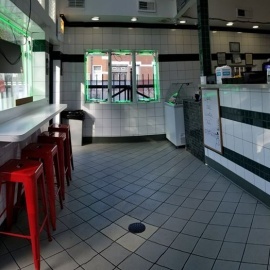 A neighborhood restaurant servicing the Bridgeport area and White Sox fans on their way to ball games with fresh and delicious food. 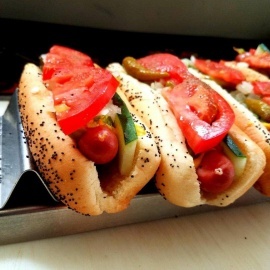 Small counter-serve joint for Chicago-style hot dogs, burgers, soft ice cream & more. Cash only.